We all have to retire sometime. Some people retire based on our own timing. While others are forced out due to a variety of reasons. Bottom line, whatever the reasons are, get over it. Focus on the future and what you are going to do. 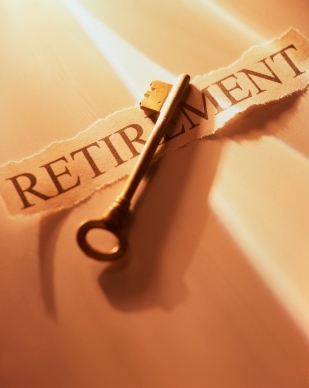 A nightmare retirement is one that you do not have enough money to live comfortably in the manner you had planned. It is also a surprise! If you already know you do not have enough money you should have already been taking action. But those of us that retired and find out that we will not have enough money, need to wake up. Forget the past and focus on the future! Regardless of what time of your life you realize that you are facing a nightmare retirement scenario, now is the time to get control of your situation. List all of your assets, list your income and your expenses. Assess each to determine what income can be increased through increased savings or even going back to work. 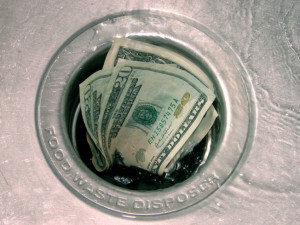 Asses what expenses you can reduce or eliminate and take action immediately to reduce your cash flow out. This is important and must be taken immediately otherwise your lifestyle will suffer more than you would like. Once you have assessed the situation, develop your plan and take action. If it means selling the house, downsizing, getting rid of a second car etc, do it. Get a job if you can. Focus on reducing expenses. All of these steps are needed to ensure that you have cash for food, housing and clothing for you and your family. The earlier that you can take stock of your situation and do something about it, the better off you will be. Older boomers may even have to move in with family in order to pool resources and share expenses. 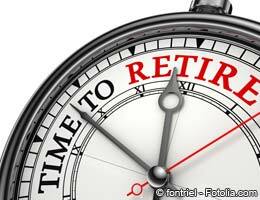 Sometimes drastic action is required and although it is not what you thought your retirement would be or planned, it may be necessary. This entry was posted in Retirement Risk and tagged Retirement Challenges on 2015/11/21 by ernie. We all make mistakes from time to time when it comes to our finances regardless of what age we are. For those who are younger and still working, they have time to recover from their mistakes and prepare for retirement. Retirees on the other hand have limited room for mistakes. They do not have enough time to recover from any mistakes that they may be involved with. We have summarized a number of areas that retirees will make a mistake when it comes to managing their money approaching and during retirement. As we mentioned if you are younger and just starting to think about retirement, these items are worth reading about as well. They might save you a great deal of money over your life time. The basic guideline for anyone is to invest in blue chip companies, that are managed well, pay dividends on a regular basis and have a history of increasing their dividends over time. Diversity is also extremely important. Never place all of your money in the same investment no matter how good it sounds. In fact no more than 10% of your savings should be in one investment. If you are above 10%, it may be time to re-balance. These are some of the more significant mistakes people make. Timing the market – is next to impossible and many people lose money every year trying to time the market. Long term charts of the markets show that the Dow, the TSX etc have all been on a steady up word trend. Sure there has been some dips, however if you are in the blue chip companies, those that are here to stay, then you will survive those dips and also participate in the market gains as well along with sustaining dividends over the long term. Trading too often – every time you trade, there are fees to your adviser which can be very expensive. These fees can eat into any gains or income you may receive. Trading often can even cause your portfolio to head into negative territory. Buying good quality stocks as we mentioned and holding them to collect increasing dividends will not only maximize your income, it will also minimize your expenses as well. Reacting to the market – the market is volatile at the best of times. Swings or 1 to 5% are the norm and swings of more than that can send shivers through the investing public. The thing to remember is that the market has shown that it will always recover and if your invested in dividend paying stocks, you will continue to receive stocks even though the value of the stocks is down for a temporary period. Always go by the numbers, never by emotions when making decisions. You might get lucky, but then if you are reacting to a volatile session in the market or to a speculative tip, the majority of investors are going to lose. Working with the wrong adviser – work with one that you trust, that gives good advice and one who has a good track record. If it sounds too good to be true then it probably is and if he or she is trying to push you into investing or doing a lot of trades, ask for a second opinion. In fact if you have sufficient money, it might not be a bad idea to diversify and have two advisers to compare their recommendations. This is your money and it needs to last you in your retirement. don’t make mistakes and decrease your chances of having the retirement you always dreamed of. This entry was posted in Retirement Risk and tagged Retirement Mistakes on 2015/04/21 by ernie. Most people only focus on the money when they think about retirement. Yes, you need to have sufficient money to enjoy your retirement. 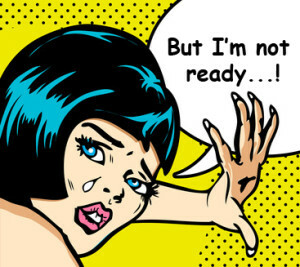 However many are not ready to retire and are being forced out. Or perhaps you have not mentally prepared for retirement. It really does not matter how much money you have. Retirement will not be what you thought it was going to be until you have mentally adjusted to being retired. For many people, being busy and maintaining your self-worth are important attributes. Some people will turn to golf as an alternative to keep busy. Many will have hobbies that will keep them busy. Many will also just go back to work to seek the social life that they miss when they are not working. Let’s assume that you have the money thing figured out. What is the other part of the planning activity associated with retirement that must be considered? You have drawn up your financial plan and have discovered you could retire today with the pension you will receive and the savings that you have been able to put away. Sounds like a good news story and it is. But what will you do on your first day of retirement, the 10th day, the 100th and so on? We believe that you may not need to draw up a detailed plan. But you really should give some thought to how you will spend your time. Will you travel and do you have the money for that? What about volunteering? Will you golf and take out an expensive membership? These are just a few of the things that many people will consider. The bottom line is that you now have 40+ hours to fill each week that you spent commuting to work and working. Every person will have a different plan and it will be very personal. Develop yours and then be prepared to adjust it as you gain experience with the things you like to do and even perhaps the weather or seasons. Be flexible and you should have a nice long successful retirement. Remember that someone who is active physically, engaged with other people and participating in a variety of activities stands a much better chance of living long and in a healthy manner than someone who does not strive for these types of things. Matching your finances for the type of lifestyle that you are looking for is also important. If you plan to travel a great deal on expensive trips for example, them you may need to have a stronger financial plan that can provide you with the funds that you need to support your travel plans. This entry was posted in Retirement Risk and tagged Lifestyle Decisions on 2014/08/21 by ernie. Many people worry about their retirement, even those who are relatively secure with defined pension plans or large retirement savings. They worry about making mistakes with their retirement that would cause them to lead a retirement life that will be less than satisfactory. They worry about whether they will have enough money during their retirement. What are the six significant retirement mistakes that consumers make while planning for their retirement or during retirement? The following is our list of significant mistakes that many people make and you should try to avoid. Getting taken in by a Scam or Fraud situation – Protect yourself from scams and frauds by always seeking a second opinion from trustworthy people such as a bank manager or financial adviser. Fraudsters and scammers are everywhere, so always investigate on your own without just accepting what someone is telling you. 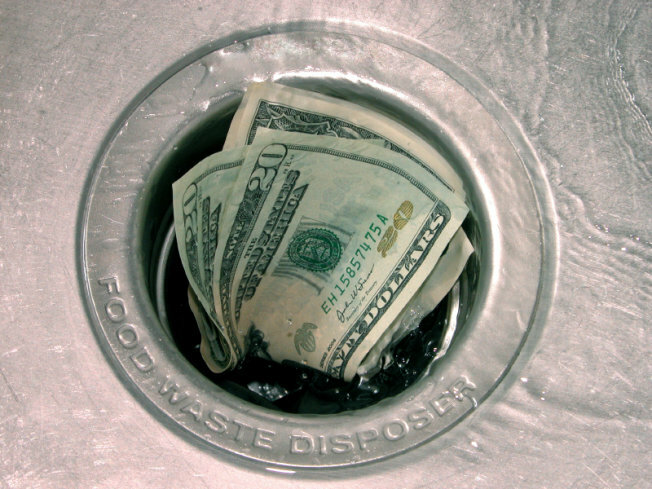 Not Managing Cash Flow Properly – we all have cash flow issues from time to time. Managing your cash flow will ensure that you never get into a situation where you cannot afford to pay the bills. 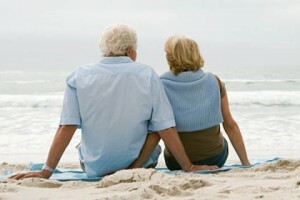 No Plan for Retirement – Planning for retirement a year before you retire is a hug mistake. Start early with a plan and saving for retirement. Develop a plan so that you know exactly how much you need to set aside every year to have the quality of life you would like during your retirement years. 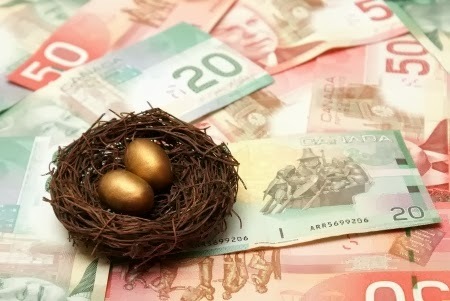 Not Planning for Inflation During Retirement – inflation will always be around, it just varies from year to year. The average inflation rate appears to be around 2.5% to 3%. This means that every year prices are going up by this amount and you need to have the income to pay for it. Managing Your Health Insurance – health insurance can be expensive and if you have not planned for it, then this could be a huge drain on your savings. Ensure you have the proper amount of health insurance in place to cover you and your family. Not Planning for Risk e.g. Forced Early Retirement – as with all plans, they do not always turn out the way they were planned. Evaluate the risk issues with your plan. Early retirement, health issues, inflation rates, lower levels of income, major repairs to your home etc are just a few of the things you may want to consider in your risk assessment of your retirement plan. This entry was posted in Retirement Risk and tagged Retirement Mistakes on 2014/08/07 by ernie. What is a retirement saver’s worst mistake? Many people are saving for retirement. In fact our government encourages us to save for retirement. Their sole objective is ensuring that we do not end up in poverty once we retire. They also have a variety of programs that allow consumers to borrow against their retirement savings. They can be use the money for a down payment on a home. In some cases 1st time buyers can withdraw money from a savings plan to use the funds as a down payment for a home. Home ownership is an important thing to do for many consumers. But taking money from your retirement savings plan could be one of your worst mistakes. Can you replace the income that this investment would generate once you retire? This is the key question that many people do not give much thought to. If you borrow or remove money from your retirement savings plan it can become a mistake. If you are unable to repay this loan you are jeopardizing your retirement. When you repay the loan from your retirement savings plan, savers lose the interest / dividend income that you would have accrued if the money had been left in the plan. Savers who borrow money from retirement savings plan should treat it as a real loan. Repay not only the principle, but also the income that they lost as a result of the investment not being available to earn income. Even just borrowing ten thousand to use as a down payment for your home purchase can make a huge difference in your total savings especially if you have a long time to retirement. The miracle of compounding can make a huge difference to savers. 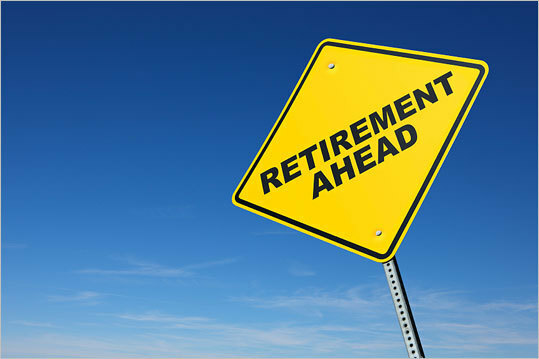 The total amount you have for retirement when you finally do retire will increase substantially. If you must borrow from your retirement savings plan for a down payment on a home or some kind of emergency, develop a plan to repay the loan along with interest. Sometimes people are better off just arranging for a regular loan instead of borrowing from their retirement savings plan. Discuss your options with a financial planner before making this decision to ensure that you consider a number of options. If you are good with spreadsheets, you can model the impact of borrowing the money vs. taking some of the money from your retirement plan. Completed properly this will quickly show the impact of both scenarios for your particular situation. If you are not good with this sort of thing, your investment adviser may be willing to help you with these calculations. This entry was posted in Retirement Risk and tagged Retire Early, Retirement Mistakes on 2014/07/21 by ernie. A recent poll suggests that 41% of consumers are reporting that they did not retire on a date of their choice. These people were either forced to retire or found that they had health issues that caused them to retire. Some found that it was the best decision for them at the time based on the company situation. The bottom line was that they retired on a date that they did not choose or plan. They had expected to work for a number of additional years. 20% of those people who retired on a date that they did not choose also found that they had less than one month to adjust. There was no advance notice. They were shown the door on a date that they did not choose. Even though there is such a high percentage of people who are retiring on a date they did not choose, fully 70% feel that they retired at the right time in hindsight. They wanted to enjoy an active retirement. They till have their health, they did not need more money. As well they were not happy at work, they wanted to join their spouse or partner in retirement. Some did have health concerns. Others wanted to volunteer or they needed to take care of someone else. Those people who were forced into retirement earlier than what they had planned needed retirement strategies. Many of the people who retired based on their own decision also needed strategies to help them. The strategies included downsizing or staying in their home but selling some assets. In some cases orrowing against their home equity or returning to some kind of paid work was an option. Still others considered renting a portion of their home. Taking a loan without borrowing against their home equity and finally asking a family member for financial help are considered. If you are still working or expect to be retiring in the near future, it is time to take stock of your financial situation and determine whether you are able to retire and live the quality of life that you would like during retirement. Planning now and taking steps to achieve financial freedom while you’re still working is one of the best things that you can do to ensure the quality of life for you and your spouse that you’re looking for. 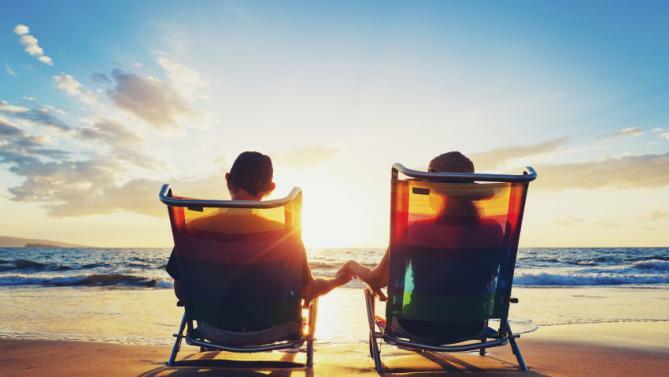 Discussing your retirement needs with your spouse and creating a plan that you both buy into will take some time as you incorporate the needs of both parties. It can be stressful since many people do not discuss financial issues very well and may need some help. Use online programs or meet with a trusted financial adviser to help figure out what you need financially to do some of the things that you want to do. This entry was posted in Retirement Risk and tagged Early Retirement on 2014/02/07 by ernie. Will you outlive your retirement plan? My wife and I were talking about our investment plan and our retirement the other day. We were discussing how much money we should take out of our savings plan and our retirement pension plan. How much should we enjoy while we’re still healthy. I was talking also about the interest income we’re making on our bonds. Also the dividends that we are collecting from our stocks and how volatile the stock market is. Our planning horizon is roughly 20 years to 25 years. Her comment about all of this was that this was one of the biggest gambles that we are taking in our lives. Many people will mention that buying a house is the biggest purchase. The biggest gamble that many people will take in their lives is their investments for retirement. I feel that actual retirement planning and making sure that your money will last during your retirement years is by far the biggest money decision. The industry suggests that you should take 4% of your total retirement plan out every year and this is the amount that you should budget for your retirement. They say also that you have an 80% chance of your investment plans lasting your lifetime with this approach. It takes into account stock market fluctuations both up and down as well as periods of time where the income isn’t sufficient to make up the 4% that you were taking out of your plan. We have found that judicious investment in dividend yielding stocks will yield 4% to 5% over the period that you are planning for and judicious investment in blue-chip corporate bonds will yield between 3% and 5% at the present time. With this level of income you should be able to generate 4% from your retirement plan with no problems whatsoever. Without touching the capital and the fact that the dividends and interest income are close to 4% you will have an excellent chance that your money will outlast your retirement years. Monitoring your investments every year and working with an advisor will help you manage your investments to ensure that you have sufficient income and money to last during your retirement. It is one of the most critical things that you can do during retirement years. Also make sure that your retirement plan is set up so that it can run on automatic pilot, should you not be healthy enough to administer your retirement plan. While you are healthy now, can make decisions etc, there may come a time when your financial adviser will need direction as to how to handle your money. Your living will can also specify how your money should be managed and designate a family member to make those decisions. This entry was posted in Retirement Risk and tagged Outliving Your Money on 2014/01/21 by ernie. Retirement NINJAs – No Income, No Jobs, and No Assets! This is quickly becoming the situation that many Americans and Canadians are facing. No jobs, no income, and no assets to sustain them. This happens when they are out of work let alone approaching retirement. This is a dire predicament for many consumers these days. They struggle to put food on the table and a roof over their head. They may not be old enough to retire. However they are effectively retired and have no way of generating income for themselves. If there are no jobs and no way of making money, many consumers will turn to family and friends to help them out. This works for a while but then they become a burden on their families as well. Seniors may need to move in with family members to control or eliminate housing costs that they cannot afford. It can turn into a very desperate situation with seniors going hungry and cold in the winter time. There has been a lot of talk about people having low-paid jobs which are essentially minimum wage jobs which are insufficient to save for retirement and basically insufficient to live on as well. They need to pool their income with other people, they’re living with, their families etc. in order to be able to live a decent style of life. It often means for larger families living together and pooling their assets and income. When you are making minimum wages you also need to work many hours just to survive. It is not uncommon for many consumers to work 50 and 60 hour weeks just to make ends meet for tier families and themselves. One wonders just who is looking after the kids in a situation like this? They are home alone and we all know that idle hands usually means trouble of some kind. The TV and video games does not provide a useful learning tool and our kids also end up with a very skewed view of the world. These people also have exhausted all of their assets trying to make do on no income or at best a minimum wage that just does not measure up to what they need to support themselves and their families. Once your assets are gone, the only thing left is to live with your family and try to find a job that pays better. Don’t give up, work hard and pool resources and you will eventually get out of the pit you are in. After all family is the most important asset that we all have. This entry was posted in Retirement Risk and tagged Lifestyle Decisions on 2013/09/19 by ernie.